The ERC staff will assist educators, group leaders at all levels in developing age-appropriate exercises for their class or group. 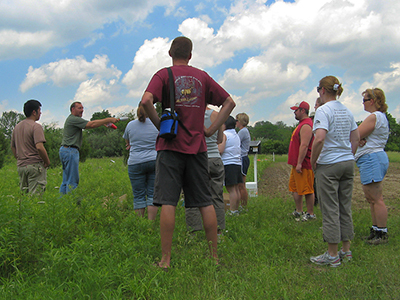 The staff are happy to identify and help to implement activities, when appropriate relying on the expertise at the Miami University's Center for Environmental Education. Tours can be customized to meet the needs of a specific age or interest level. Tours can be as brief as 1 hour or as long as a half of a day. 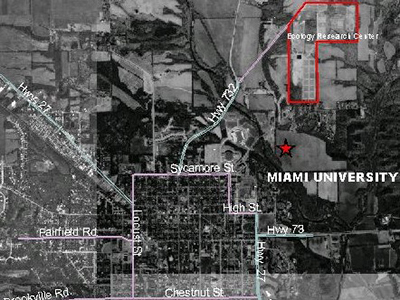 The ERC is located just north of Oxford, OH, approximately 2 miles from Miami University's main campus (about 40 miles northwest of Cincinnati and about 100 miles southeast of Indianapolis). Follow St. Rt. 732N onto Somerville Rd (to the right). Stay on Somerville Rd. for about 1/2 mile. The ERC is located at the top of the hill to the right (the first driveway on the right side of the road).